About a week after the Air Force deployed three B-2 Spirit stealth bombers to Guam, six B-52H Stratofortress bombers joined them on the island Tuesday. The B-52s from Barksdale Air Force Base, Louisiana deployed to Andersen Air Force Base along with about 300 airmen. 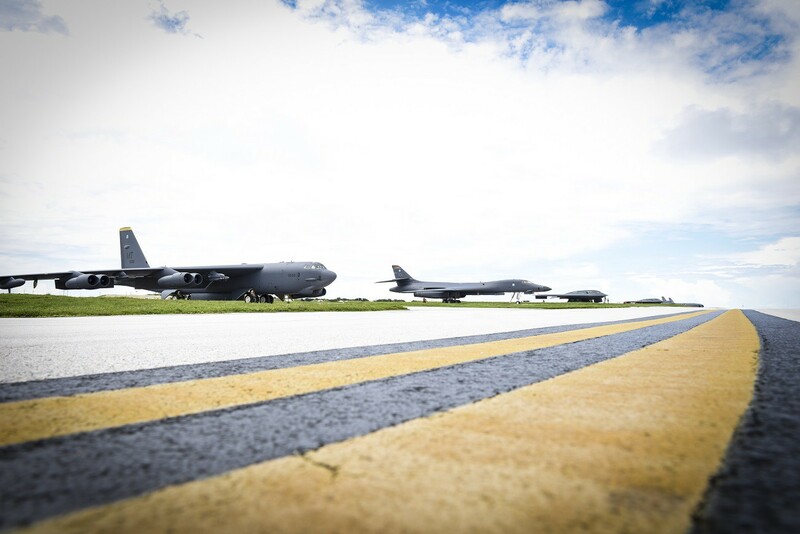 The aircraft and personnel will support the U.S. Pacific Command’s continuous bomber presence mission, replacing six B-1B Lancer bombers, which are scheduled to return home to Ellsworth Air Force Base, South Dakota, at the end of this month. WNU Editor: This does not happen everyday .... but this is a sign that in the future this may be happening everyday.